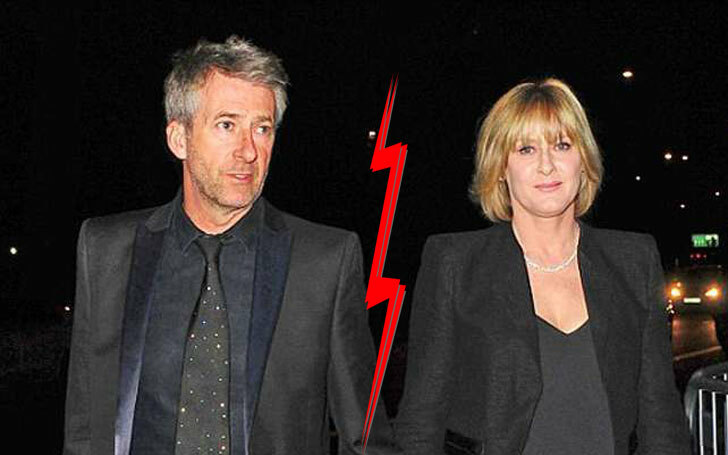 Actress Sarah Lancashire and her husband Peter Salmon, headed for divorce? Sarah's second husband is Pater Salmon, who is the BBC1 controller, and a divorcee. The colleagues of this divorcee were stunned when they came to know that he had fallen for Sarah Lancashire. But Peter is also a serious father, who does not want to live far away from his three kids that he had with his previous wife, Penny Watt. At at the same time wants to be together and live with Sarah Lancashire. Pater Salmon born on May 15, 1956, has been with Sarah Lancashire since 2001. Recently, the love between Peter Salmon and Sarah Lancashire seems to start getting cold with the passage of time, that is, after 15 years. Sarah wants to get divorced from Peter Salmon because both have disclosed the tensions that have raised high in their married life. Born on 10 October 1964, Sarah Lancashire is an actress of English television, film, and theatres, as well as is a director of The Afternoon Play and has won the hearts of the millions of television viewers since 1988. She is a British by nationality, who is best remembered for her role as a barmaid Raquel in the Granada Soap. Sarah Lancashire graduated in 1986 from Guidehall School of Music and Drama and taught at Salford University and became the highest paid UK T.V. actress in ITV. Besides these, she has acted in Oliver Twist, The Paradise, Blood Brothers, Raquel Wolstenhulme, Where the Heart Is, Clocking Off, and so on, and in 2014, she won the British Academy Television Award for the Best Supporting Actress.